LinkedIn is an online networking site specifically aimed at professional business networking and helping you make contacts. The course will give you valuable advice and guidance on making sure you re using LinkedIn to its fullest. You ll look at updating your personal profile, the importance of keywords within your profile, how to find, connect and engage with connections, how to find relevant groups and how to find information on available vacancies. 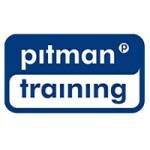 For information about Pitman Training Centre (Swords), please visit our college page on www.nightcourses.com by clicking here.